Go to ‘Dimension’ menu > Select ‘Smart’ for Smart Dimension. Run SMARTDIMENSION Command from command line. 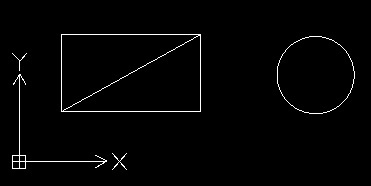 For demo purpose I have Drawn Rectangle with Diagonal line and Circle as below. Now start SMARTDIMENSION command. Select any Horizontal edge of Rectangle and Click offset to edge to place Linear dimension. 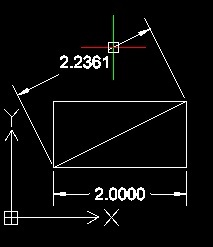 To place angular dimension to diagonal line inside rectangle, continue with previous smart dimension command or if you have pressed Esc key or cancelled command then run command again . Now select Diagonal line and move mouse cursor perpendicular to this line to Specify dimension line position. Choose Angular option, now you need to specify second line to draw angle dimension between two lines. You can Lock dimension direction for angled dimension, Run command select diagonal line move mouse cursor perpendicular to dimension line you will see linear dimension change to Angled dimension but when you move mouse Vertically or horizontally then angled dimension change to Linear dimension. To restrict dimension direction use Lock option. When you have set direction for dimension then lock it and specify dimension. Lets now Draw Angular dimension from Smart Dimension command. Run Smart Dimension command, select Circle and Specify dimension position. This will place radius of circle. Select option ‘Diameter’ and Specify Dimension position. Choose LInear option to draw Linear dimension to circle. You can also use command line options from right mouse click Options as below. See Drawing entities with Smart dimension . I have used all Options to show you how to use this command . Check other Dimension types in DraftSight.